Post a quote for three consecutive days (a quote for each day). 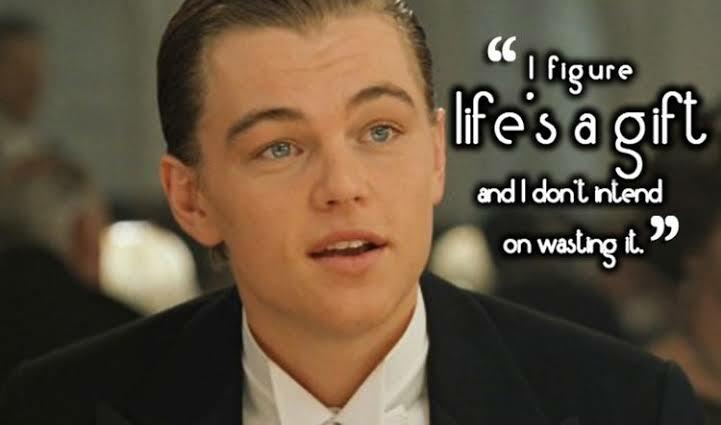 This is one of my favorite quotes from movie Titanic. And I agree with it that life’s a gift and anything that we experience while we are alive is a gift we need to recognize and appreciate. No matter who you are? or what you have been through? It all comes down to one thing i.e. your ability to face the circumstances and to come out of it shining gold. In times of crisis we might think that life is a curse or speak to ourselves that we don’t want to live. But that’s the game when you stare right in the face of all your problems and fear and deal with them competently.You win! Great quote! Thank you so much for the nomination.